Guava leaves can help to inhibit various bacteria that cause diarrhea. For diarrhea patients, drinking this tea will likely experience fewer stools, reduced abdominal pain, dizziness and faster recovery, according to Drugs.com. A study published in "Revista do Instituto de Medicina Tropical de São Paulo" in 2008 found that extract of guava leaves inhibit the growth of Staphylococcus aureus, which is a common cause of diarrhea. Researchers also found that guava leaf extracts effectively kill the type of bacteria that can cause diarrhea infections. Some small clinical studies support this information, including one published in 2000 in the "Chinese Journal of Integrated Traditional and Western Medicine" where the subjects given guava leaf extracts recover faster from diarrheal infections than those who not extracted, but larger experiments are still needed to confirm these benefits. Drinking guava leaves extract can cause beneficial changes in cholesterol and triglyceride levels. In a study, participants who took guava leaf tea had a low total cholesterol levels after eight, according to an article published in "Nutrition & Metabolism" in February 2010. Other experiments have shown similar benefits, with a long study ranging from four weeks to 12 weeks and doses start from 0.4 to 1 kilograms per day, according to Drugs.com. Some flavonoids and other compounds in guava leaves can help to keep blood sugar in normal level, after eating high carbohydrate foods. The review on "Nutrition and Metabolism" summarizes the findings of the laboratory from some studies indicating that guava leaves inhibit a number of different enzymes, by converting carbohydrates in digestive system into glucose, potentially slowing the absorption of glucose into the blood. Some clinical research performed in Japan support the possibilities of anti-guava diabetic content. This report suggests that drinking guava tea regularly helps blood glucose be lower in subjects with type 2 diabetes, compared with the same subject but do not consume guava leaf tea. Guava leaf tea can also be beneficial for cardiovascular health and circulatory system, according to laboratory research and some clinical small studies. Compounds in guava leaves can help reduce blood pressure and heart rate, according to a laboratory study published in 2005 in "Methods and Findings in Experimental and Clinical Pharmacology". 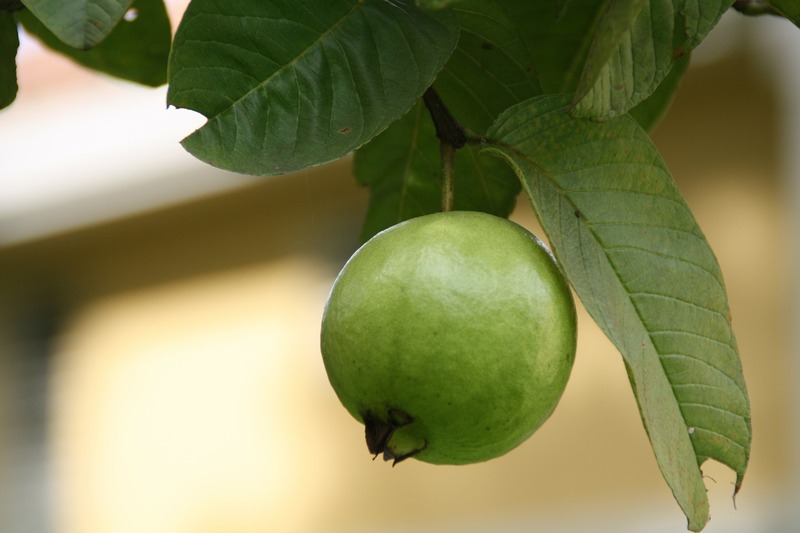 The study found that animals that have eaten guava leaf extract, have reduced blood pressure and heart rate. Guava leaf can help to improve skin and hair quality. Here are some benefits of guava leaves for beauty treatments. Guava leaf is effective for removing acne and black spots on the skin. This is because guava leaves contain antiseptic that can kill bacteria that cause acne. Pound some guava leaves and apply on acne and dark spots. Rinse with water after some time and do it regularly. The guava leaf contains antioxidants that can destroy the free radicals that damage the skin, thereby protecting the skin from aging, as well as enhancing skin tone and texture. Roasted guava leaf stew can be applied to the skin to tighten the skin. Skin itching can cause serious problems if not treated immediately. Guava leaves are an instant remedy for getting rid of itching because they contain allergy blocking compounds. To stop hair loss, boil a handful of guava leaves in one liter of water for about 20 minutes. Once it is cold, apply on the scalp, while at the massage.